The​ ​latest​ ​and​ ​safest​ ​Clinic​ ​in​ ​aesthetics​ ​treatments. ​You​ ​can​ ​contact​ ​us​ ​via​ ​Facebook,​ ​Instagram,​ ​telephone​ ​and​ ​the website​ ​via​ ​our​ ​online​ ​booking​ ​system​ ​book​ ​your​ ​free​ ​consultation​ ​​ ​-​ ​not​ ​forgetting​ ​coffee! 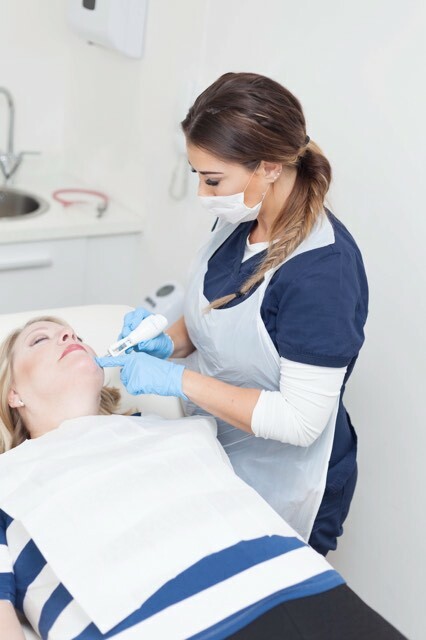 Anti-Wrinkle​ ​Injections As​ ​we​ ​age​ ​we​ ​lose​ ​tone​ ​and​ ​the​ ​natural​ ​elasticity​ ​of​ ​the​ ​skin.​ ​This​ ​prevents​ ​recoiling​ ​of​ ​the​ ​skin​ ​which​ ​leads​ ​to​ ​the formation​ ​of​ ​wrinkles,​ ​fine​ ​lines​ ​and​ ​folds.​ ​Azzulure​ ​is​ ​an​ ​anti-wrinkle​ ​treatment​ ​which​ ​works​ ​by​ ​blocking​ ​impulses to​ ​facial​ ​muscles​ ​causing​ ​the​ ​muscles​ ​to​ ​relax,​ ​thereby​ ​reducing​ ​lines​ ​and​ ​wrinkles. 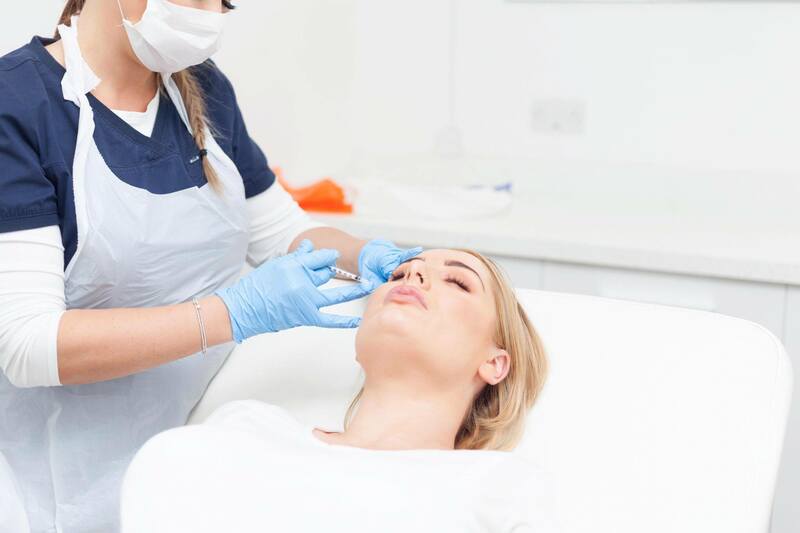 Dermal​ ​Fillers As​ ​we​ ​age,​ ​our​ ​skin​ ​changes​ ​and​ ​we​ ​lose​ ​hydration​ ​as​ ​well​ ​as​ ​facial​ ​fat.​ ​Our​ ​natural​ ​elasticity​ ​reduces​ ​due​ ​to​ ​the degradation​ ​of​ ​collagen​ ​and​ ​our​ ​skin​ ​becomes​ ​more​ ​fragile;​ ​over​ ​time​ ​the​ ​natural​ ​volume​ ​of​ ​your​ ​youthful​ ​skin​ ​begins​ ​to diminish,​ ​and​ ​wrinkles​ ​and​ ​folds​ ​start​ ​to​ ​form.​ ​Dermal​ ​Fillers​ ​replace​ ​the​ ​lost​ ​volumes​ ​and​ ​encourage​ ​the​ ​reproduction​ ​of collagen​ ​thus​ ​restarting​ ​the​ ​collagenesis​ ​cycle​ ​and​ ​halting​ ​the​ ​aging​ ​process​ ​from​ ​the​ ​inside​ ​out. PDO​ ​thread​ ​lift What​ ​is​ ​a​ ​PDO​ ​thread​ ​lift?​ ​PDO​ ​therapy​ ​is​ ​an​ ​effective​ ​cosmetic​ ​technique​ ​that​ ​lifts​ ​and​ ​tighten​ ​sagging​ ​skin tissues​ ​by​ ​inducing​ ​collagen​ ​production.​ ​It​ ​involves​ ​the​ ​implantation​ ​of​ ​fine,​ ​absorbable​ ​polydioxanone​ ​threads (similar​ ​to​ ​those​ ​used​ ​in​ ​medical​ ​suturing)​ ​into​ ​the​ ​subcutaneous​ ​layer​ ​of​ ​the​ ​skin​ ​using​ ​small​ ​needles.​ ​Results​ ​get​ ​better and​ ​better​ ​are​ ​natural​ ​looking​ ​with​ ​minimal​ ​down​ ​time. Vitamin​ ​B12​ ​-​ ​Pure​ ​Energy​ ​Booster​ ​Shot BENEFITS​ ​•​ ​Increases​ ​Natural​ ​Energy​ ​Levels​ ​•​ ​Augments​ ​Red​ ​Blood​ ​Cell​ ​Production​ ​•​ ​Helps​ ​Regulate​ ​Sleep,​ ​Mood​ ​and Appetite​ ​Cycles​ ​•​ ​Boosts​ ​Immune​ ​System.​ ​BEST​ ​FOR​ ​Natural​ ​Energy​ ​Boost​ ​Daily​ ​routines​ ​can​ ​be​ ​energy​ ​draining.​ ​Vitamin B12​ ​recharges​ ​your​ ​energy​ ​and​ ​allows​ ​you​ ​to​ ​tackle​ ​life​ ​head​ ​on.​ ​Especially​ ​beneficial​ ​for​ ​those​ ​suffering​ ​with​ ​chronic diseases​ ​such​ ​as​ ​Hypothyroidism,​ ​Fybromyalgia,​ ​ME,​ ​Chronic​ ​Fatigue​ ​Syndrome,​ ​Alcohol​ ​Dependance​ ​and​ ​Migranes. 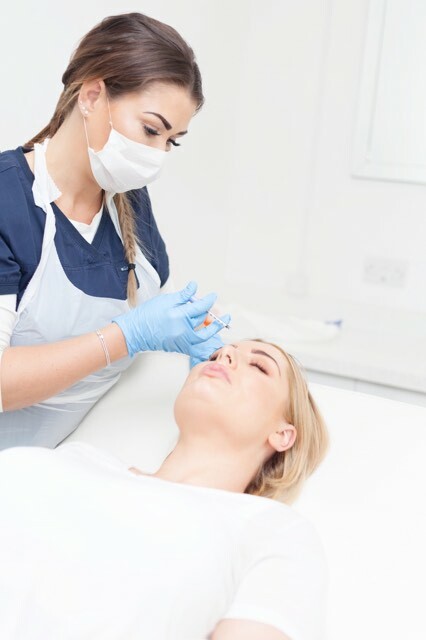 Skin​ ​Boosters ​ ​Micro​ ​Hydrating​ ​Injections.​ ​Each​ ​treatment​ ​involves​ ​a​ ​series​ ​of​ ​hydrating​ ​microinjections​ ​of​ ​long-lasting​ ​hyaluronic​ ​acid, also​ ​called​ ​stabilised​ ​HA,​ ​a​ ​water-loving​ ​substance​ ​found​ ​naturally​ ​in​ ​the​ ​body​ ​that​ ​maintains​ ​hydration​ ​in​ ​the​ ​skin. Stabilised​ ​HA​ ​is​ ​a​ ​soft,​ ​gel-like​ ​substance​ ​that​ ​absorbs​ ​water​ ​and​ ​brings​ ​deep​ ​skin​ ​hydration​ ​to​ ​the​ ​treated​ ​areas,​ ​giving​ ​it improved​ ​firmness,​ ​elasticity​ ​and​ ​smoothness.​ ​What​ ​you​ ​and​ ​everyone​ ​else​ ​will​ ​see​ ​is​ ​a​ ​wonderful​ ​and​ ​radiant​ ​skin. 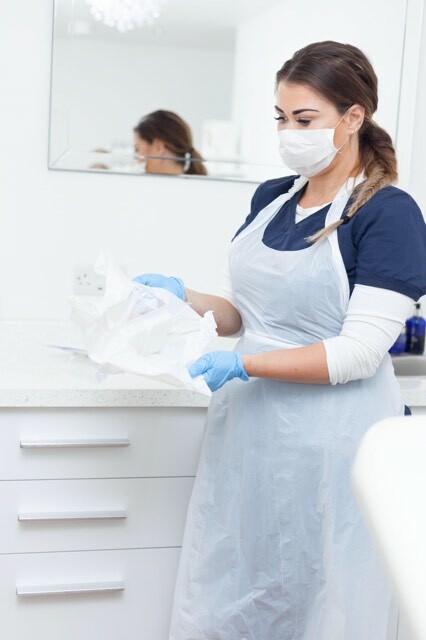 Dermatologist​ ​Consultation/Advice​​ ​If​ ​you​ ​are​ ​fed​ ​up​ ​of​ ​waiting​ ​lists​ ​and​ ​are​ ​in​ ​a​ ​hurry, our​ ​nurse​ ​will​ ​assess​ ​your​ ​case​ ​and post​ ​a​ ​reply​ ​to​ ​your​ ​inbox​ ​within​ ​3​ ​working​ ​days. The Clinic – We have a buzzer entry system. I would fully recommend Liz. Professional, friendly and she listens! She knows exactly how best to enhance what you already have! Liz is amazing at what she does , she’s very professional. For me, recommendation from somebody else I trust is better than any recommendation, and Liz came with very high recommendations. I had one area of Botox between my eyebrows to get rid of a frown line, and I have had tear trough fillers and I feel a completely new version of myself. I had incredibly sunken under eyes since I was about 12 and now at the age of 29 I feel confident to go out without make up on. Liz has worked wonders with her professional yet personable expertise and skills.